Who would have thought it? 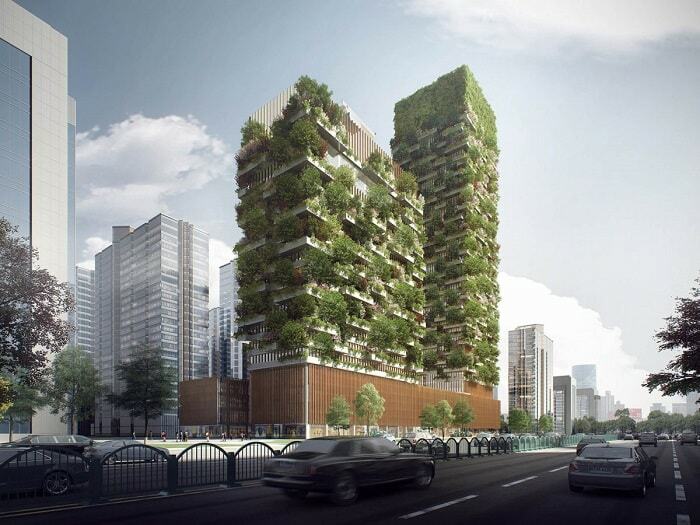 The Italian designed high-rise park called Vertical Forest will soon grow upwards in the Chinese city of Nanjing. After the scheduled completion in 2018 in the Yangtze River economic zone, 25 tons of carbon dioxide will be absorbed each year and 60 kg oxygen released daily as stated by the Italian architect. This is attributable to around 1,100 trees plus 2,500 cascading plants and shrubs embellishing the façade. 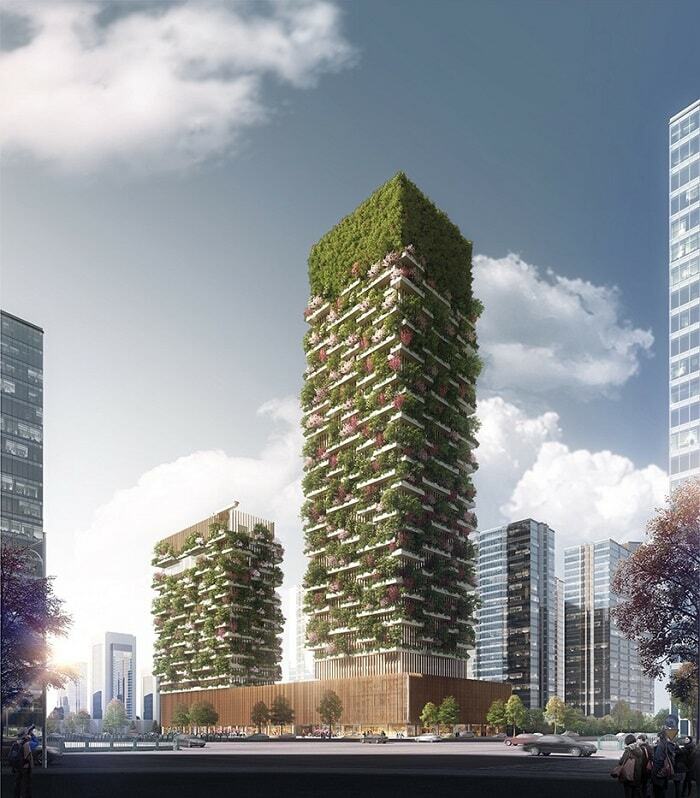 Stefano Boeri’s Vertical Forest is clearly a cut above other high-rises. And even among Green Buildings, it is easy to distinguish this tower due to the extensive facade greenery. The cladding design is similar to the popular concepts in Milan and Lausanne. The new complex in Nanjing consists of two towers. The small one is 107 meters high. The large tower will rise 199 meters above Pukou District in Nanjing. A total surface area of 6.000 sqm is covered by plants. 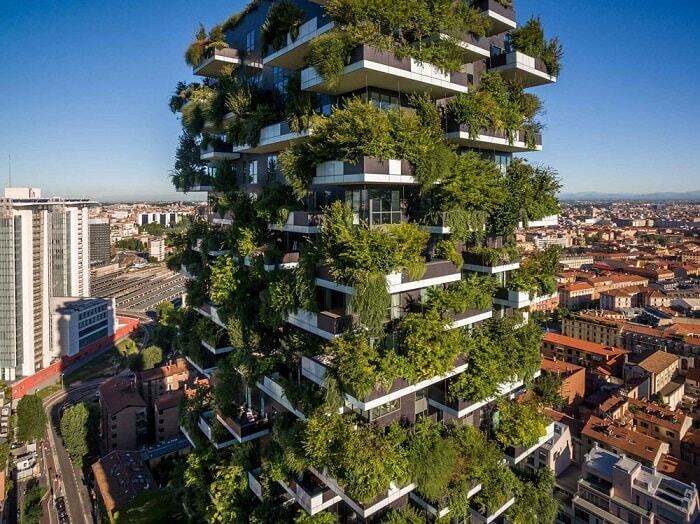 Just for comparison – Vertical Forest in Lausanne only provides about 3,000 sqm of façade greenery. As stated by the designer, the higher of both will partially host offices and one museum. Befitting the green building, a green architecture school shall disseminate clean knowledge. The intended private club on the rooftop provides a marvelous view at the end of the day. Travelers have the opportunity to rest in the Hyatt hotel with 247 room – located in the small Vertical Forest tower. A swimming pool on the top offers freshness in summer combined with, of course, a marvelous view. The very small podium with a height of 20 meters, will host, for example, common shops, restaurants, exhibition spaces, or a conference hall. 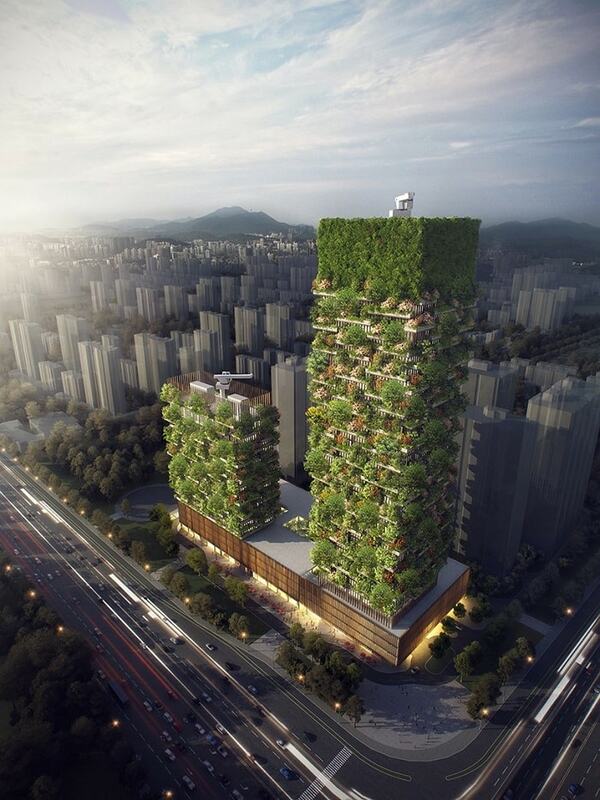 Nanjing Yang Zi State-owned Investment Group CO.Ltd is the official investor of Nanjing’s Vertical Forest. 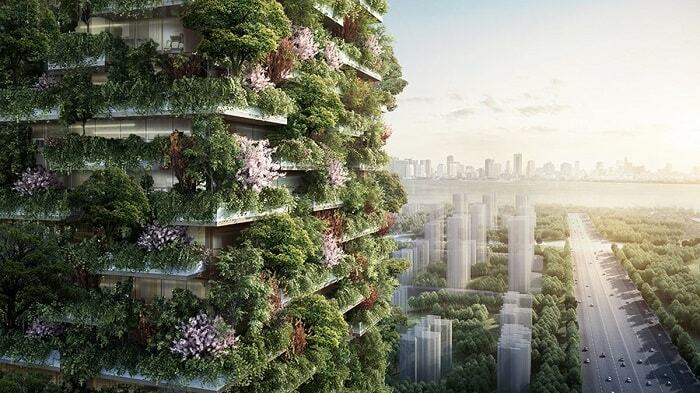 Recently, another carbon-eating high rise, currently under construction, caused a sensation. 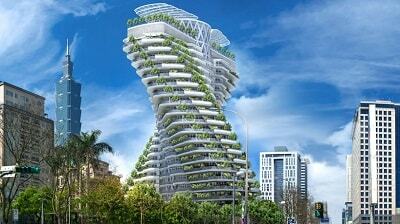 The twisted Tao Zhu Yin Yuan Tower, created by Vincent Callebaut, will be covered by 23,000 trees and shrubs.